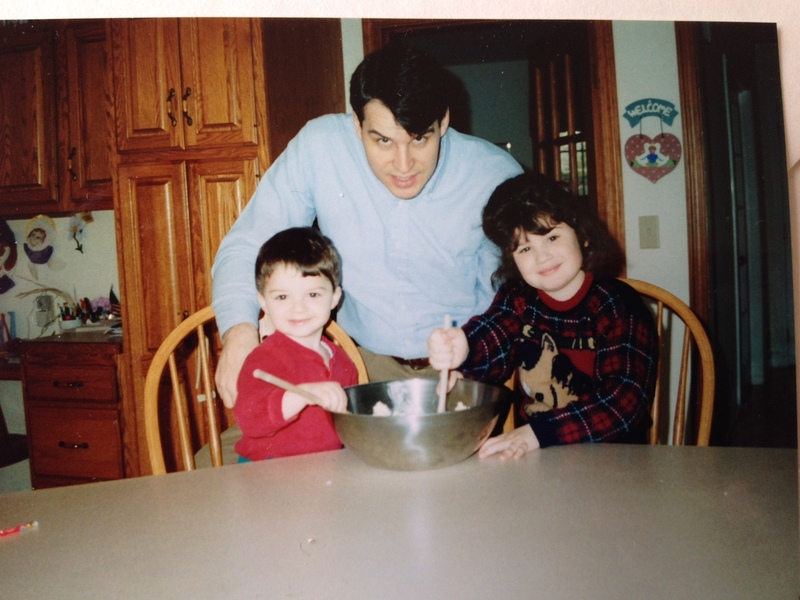 As a self-diagnosed foodie from a very young age, I love to cook and bake for my family. I enjoy creating new recipes, tweaking old ones and experimenting with new flavors and textures. 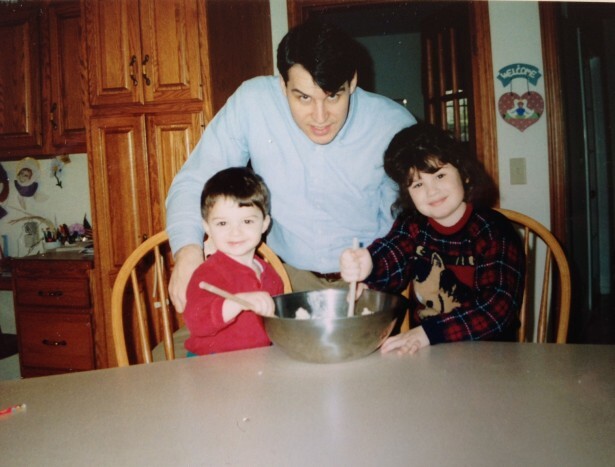 I am also proud to say that my culinary repertoire has increased substantially over the years from spaghetti and meatballs (my signature dish as a 7-year-old), to more refined dishes such as mushroom and pea risotto. Unfortunately, up until a few years ago, goat cheese was a foreign ingredient that I had seen only on a few gourmet restaurants’ menus, but had never used in my own kitchen. Now, goat cheese is practically a staple in my diet. According to the MchPherson Sentinel, 65% of the world uses goat milk as their standard. However, in the U.S. goat milk is still fairly foreign. Whether it is because cow milk has dominated the dairy industry in the U.S. or for another reason, goat’s milk hasn’t gained traction with Americans until recently. But, there are still a few common misconceptions about goat’s milk that dissuade consumers from purchasing goat’s milk products, such as chèvre. 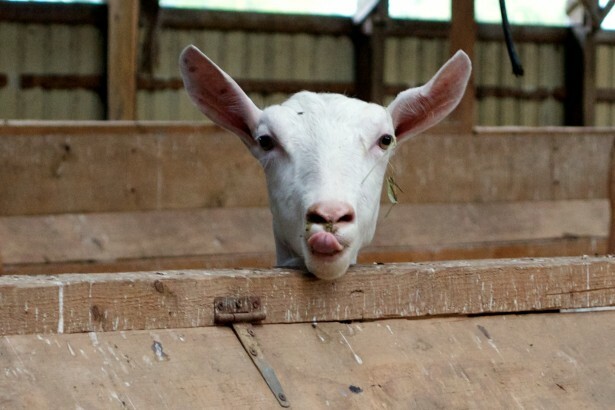 So, why does goat’s milk get such a bad rap in the American cheese industry? Why are some people afraid to try such a delicious delicacy? Some people have never tried goat cheese because they are picky eaters and don’t like trying something new. Others have tried goat cheese before and despised it because of a tangy, strong flavor that is associated with goat cheese known as “goatyness’. While cheese makers can’t control whether people try new things or not, they can control the level of “goatyness” a cheese has. I discussed this matter with Lively Run Dairy’s head cheesemaker, Pete Messmer. There are two key factors that determine the “goatyness” of chèvre cheese: first, how old the milk is when it is processed and, second, whether or not the bucks, who can emit a very distinct odor, regularly live in the same pen as the does. Below I have consolidated Pete’s insights into the cause of the “goatyness” flavor. To sum it up in a nutshell, goat’s milk goes bad much faster than cow’s milk. The reason behind this? 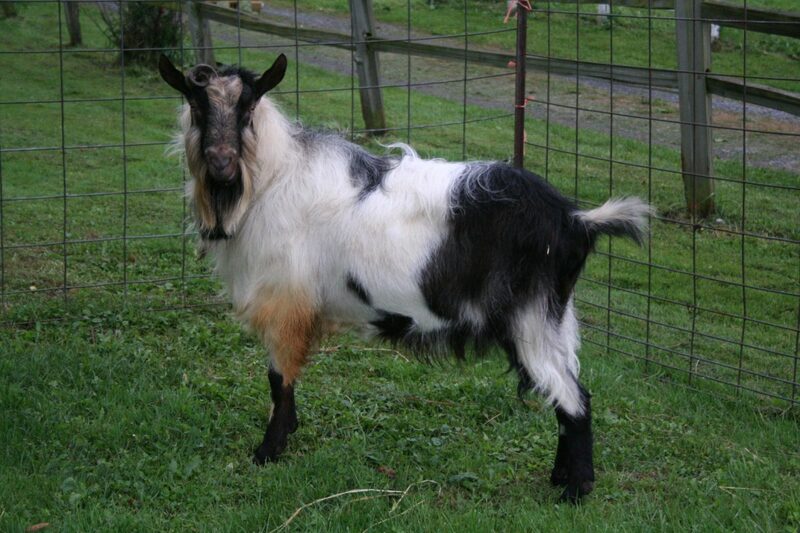 Goat’s milk is naturally homogenized, unlike its cow counterpart. As a result, goat’s milk ages much quicker. “As it ages, the milk will get progressively stronger and ‘goaty-er’. 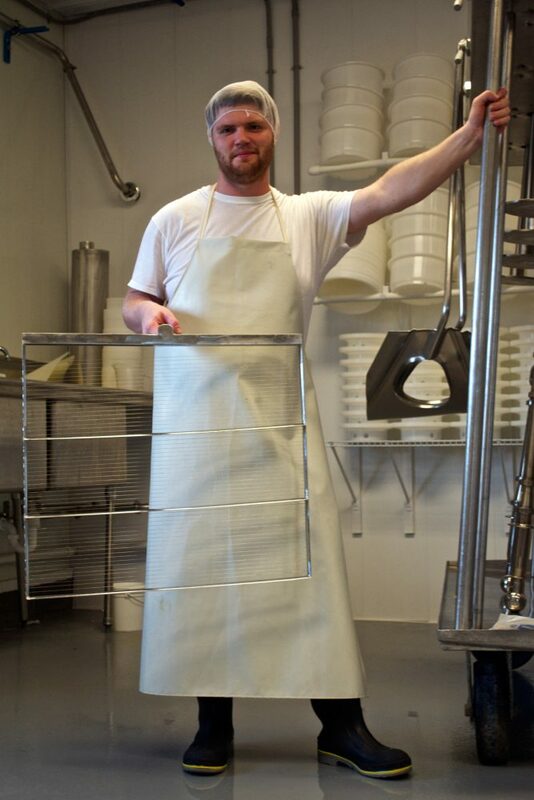 The longer you take to process the milk, the stronger the “goatyness” will be in the cheese,” said Pete. Pete explained that, “During breeding season, when does go into heat, the bucks produce pheromones” that smells like a strong goat cologne to help attract the ladies. However, “That pheromone will start to permeate the milk if the buck is in [the pen] with the does all year round.” As a result, if the bucks and does live together, the does’ milk will become very “goaty”. As for the living situation for Lively Run’s goats? The bucks and does live in separate pens year-round unless it is breeding season. As a result, our chèvre is not very affected by the bucks’ scents. So, maybe you’ve had goat cheese, such as the creamy chèvre cheese, in the past and haven’t enjoyed it because of its strong “goatyness”. While it is possible that you just might be a person who doesn’t like the flavor of goat cheese, it is also entirely possible that you experienced poor quality goat cheese. Place your trust for high quality goat cheese in a dairy that upholds to high standards for its goat milk production. And don’t worry, if goat cheese isn’t your thing, Lively Run Dairy carries a variety of cow milk cheeses as well. Bon appetite! Written by Lively Run’s marketing and communications intern, Kristina Stockburger. 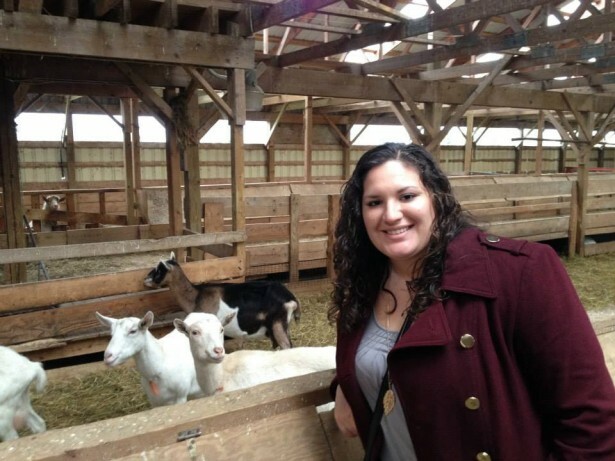 She is a senior Integrated Marketing Communications major at Ithaca College.